Am I correct in my assumption this is a plague? 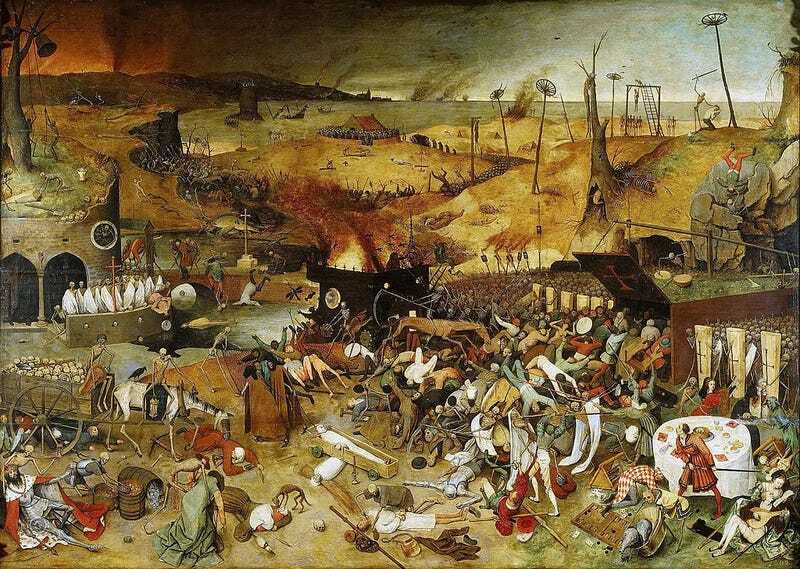 In Breughel’s The Triumph of Death, I think there is some death. There appear to be some people struck down while doing normal things so did the shop give me an allegory? There isn’t any purple paint.